Story Into Screenplay: What Do Moonlight's Oscar Wins Mean For Aspiring Screenwriters? What Do Moonlight's Oscar Wins Mean For Aspiring Screenwriters? FULL DISCLOSURE: I have not yet seen Moonlight. The only Best Picture nominees I saw were Lion and La La Land, two wonderful films, but I will try to see Moonlight at the earliest opportunity and post a VOTE breakdown when I get the chance. Putting aside the blunder during the Best Picture award presentation, the multiple Oscar wins (including for Best Adapted Screenplay) for Moonlight carries some serious meanings for aspiring screenwriters. As a screenwriter, the questions you ask yourself as you write your story should revolve more around the story and less around the marketing hype that propels the Hollywood machine. In fact, every part of this script and its process sets itself up in direct opposition to the “conventional wisdom” of the marketplace. The script tracks Chiron through three periods of his life (early teens, mid-teens, early twenties), rather than limiting the scope to a few days or weeks. The main character is a “double minority” (African-American and homosexual), not exactly a “hot seller” in the traditional sense. The script is based on an unknown, unpublished, unproduced play written by a drama student, with no “pre-sold” audience who would be familiar with the material and rush out to buy tickets. Co-writer/director Barry Jenkins had only one other feature-length screenplay credit, 2008's Medicine for Melancholy. Jenkins and co-writer/playwright Tarell Alvin McCraney were based in Miami, more than two thousand miles away from the Hollywood establishment. So how does this little film, with a largely unknown cast and a budget of under $2 million, beat out the betting favorite (La La Land), the redemption story (Hacksaw Ridge), the big-budget sci-fi epic (Arrival) and the gritty modern western (Hell or High Water)? Tell your story. Tell it as well as you possibly can. Don't let trends or money or “the market” tell you what you should write. The only one who can tell your story is you, so you'd better get to it. 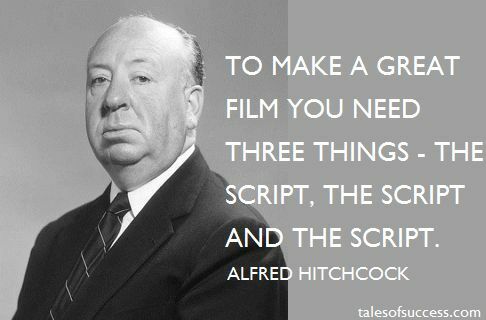 If you need help in telling your story, Story Into Screenplay is here for you. We offer coverage reports, script doctoring services, and one-on-one script consultations. To find out more, drop us a line at storyintoscreenplayblog[at]gmail[dot]com, or send a message through our Facebook page. This is a good article except I disagree on one point. This script is perfect timing FOR THE OSCARS from a marketing POV for the following reasons. 1. Scrips about blacks are in. 2. Scripts about gays and transgenders are in. 3. Hollywood is presently bent on proving to the world they are fair and balanced when it comes to race. This script probably won't be a big commercial success (and wouldn't be at all if not for the Oscar), however, it was designed for Oscar success. This is not a crack against blacks or minorities at all. It's just a fact that these things are "in" right now. This is a political choice. The film is awful. Filled with clichés, threadworn tropes, and endless racial stereotypes. It breaks no new ground, is slight, and doesn't even tell a story. The script is on the nose, the dialogue clunky, and story arcs are unfulfilled. Any analysis of this film must begin with political correctness because there's no other reason a film this mediocre -- and that is generous -- has any success. The Hitchcock quote doesn't work here because neither the script nor the film were judged on actual quality. What I meant by "whims of the marketplace" is that a lot of rookie writers are trying to write something that they think is "hot" or something that would "sell" to a studio or agent, rather than telling a personal story that will resonate with an audience. While Moonlight does touch on racial, political and sexual issues, it is also a very personal story. I doubt that anyone would argue that it was a "hot script" in the middle of a studio bidding war. 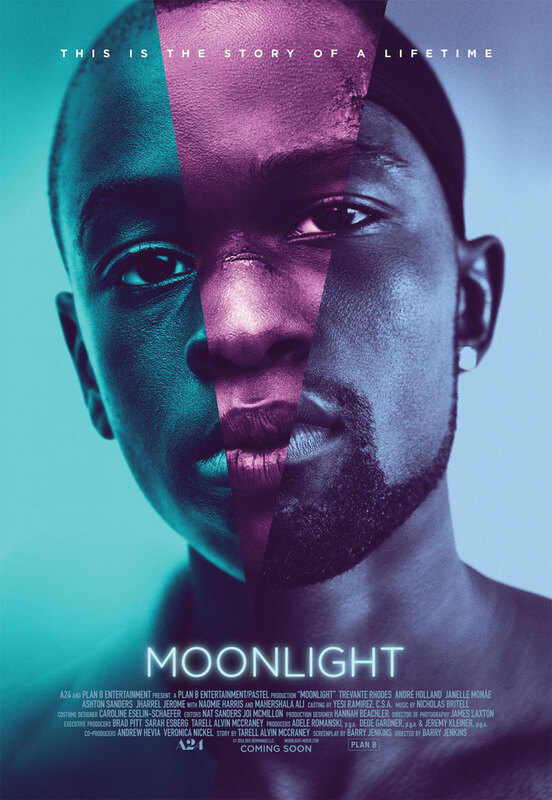 Is the subject matter in Moonlight awards fodder? Maybe. Was it written with getting awards in mind? Doubtful. Was it written with the aspirations of being a big studio hit? No way.